This recipe is dedicated to my wonderful friend Anja. Yes, she is German and she inspired me to make this tasty dish. There are various types of stuffed cabbage in the German cuisine. I obviously added my own flavor to it. I used ground beef to make this but any other ground meat can be used to make this dish even more healthier than it already is. I will definitely try other variations to this recipe since it was so effortless to make. Bring a large pot of water to boil. Drop the cabbage leaves in the boiling water for 5 mins to make it soft. Make an ice water bath for the cabbages to stop cooking. Throw the cabbage leaves from the boiling water into the ice water bath. Once it has cooled completely, drain them and let the leaves dry on a towel. Mix the ground beef with the onions + half of the garlic + ginger + nutmeg + salt + red chili powder+egg+cheese and keep aside. 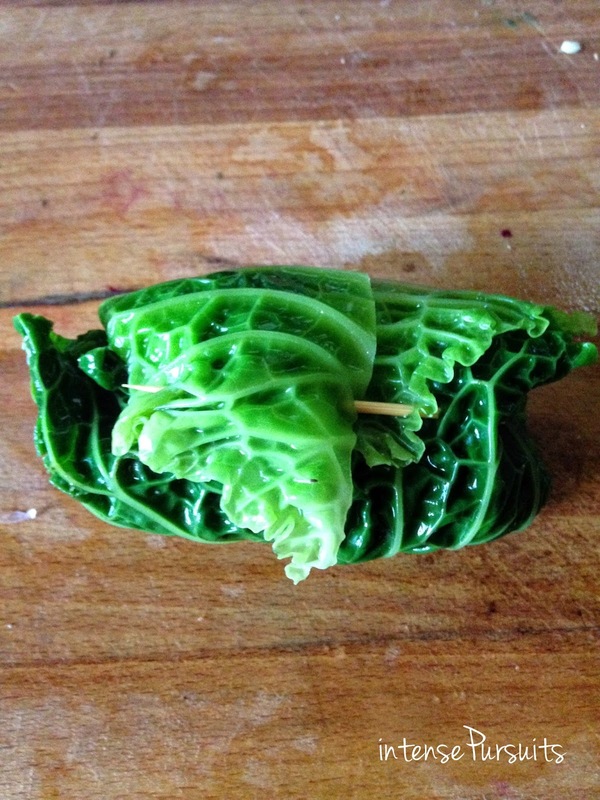 Take each cabbage leaf and cut out the tough stem in the middle (as shown in the second image). 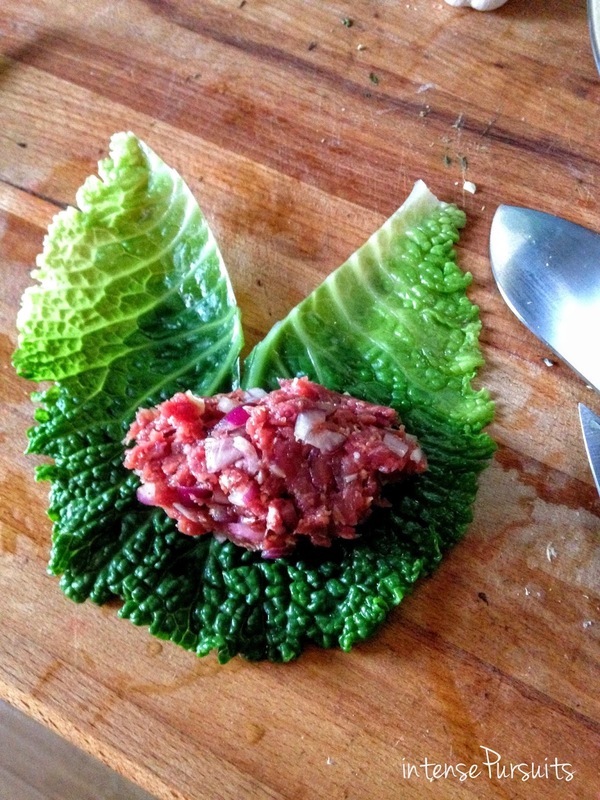 Take a good amount of beef and place it on the leaf and roll out the leaf like you would make an eggroll. At the seam, thread in a toothpick to hold the leaf in place. Make all eight rolls. In a heavy bottom pan, heat olive oil and fry the rest of the minced garlic. 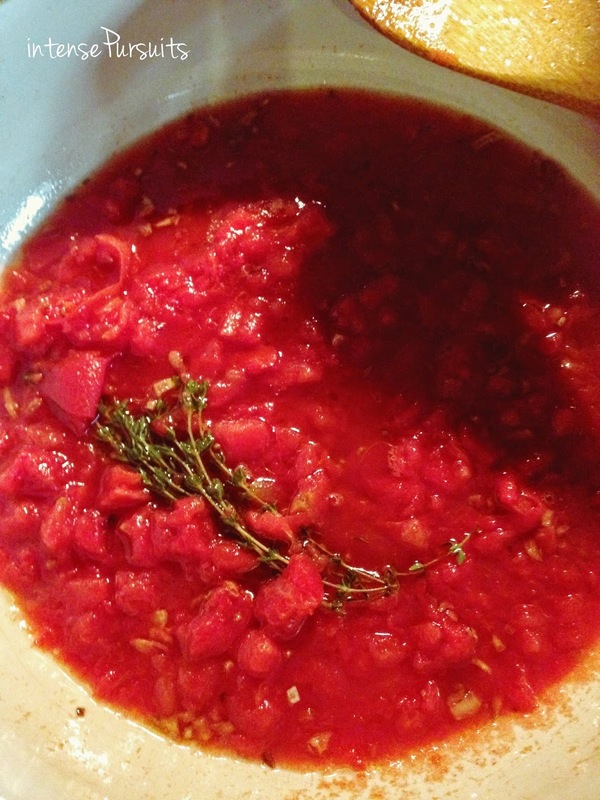 When the garlic is slightly brown, pour in the can of diced tomatoes. Toss in the fresh thyme. Let this sauce simmer for a few minutes. Add salt and a pinch of sugar to taste. 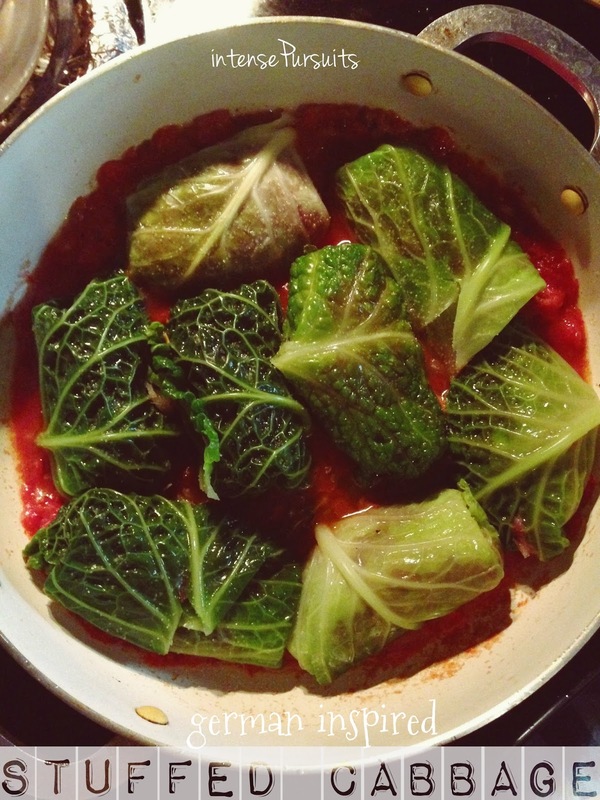 Now place the cabbage rolls carefully one at a time and make them fit snugly in the pan. Pour some boiling water into the pot and cover and cook for about thirty minutes on medium heat. 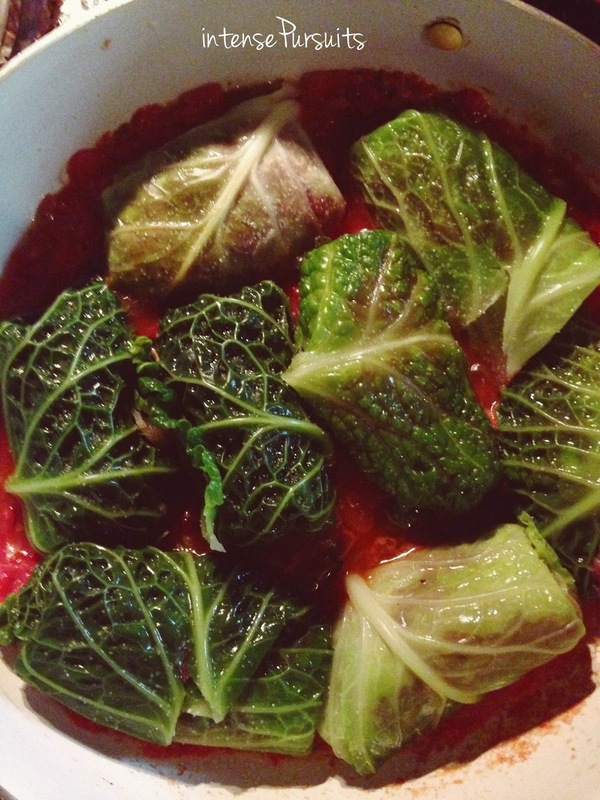 The sauce will thicken while it steams the meat inside the cabbage while flavoring it. Make this dish on a weeknight for an effortless yet elaborate supper. Bon appetit!